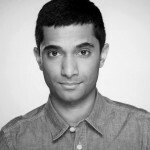 Darren Kuppan and Danny Ashok have been cast in Guards at the Taj. Guards at the Taj takes as its starting point an enduring legend and prompts contemporary questions about art and privilege. 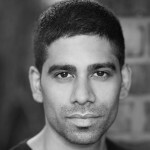 Darren Kuppan plays Babur. His theatre credits include Cymbeline (Shakespeare’s Globe Theatre), The Tempest (Shakespeare’s Globe Theatre), Cast The Light (Walk The Plank), East Is East (Trafalgar Studios & Tour), An August, Bank Holiday Lark (Northern Broadsides), Melody Loses Her Mojo (20 Stories High), England Street (Oxford Playhouse), Much Ado About Nothing (RSC), We Love You City Revival (Belgrade/Talking Birds) and Aladdin (Theatre Royal Stratford East). Television includes Coronation Street, Spooks, Britannia High, Emmerdale and The Adam & Shelley Show. Danny Ashok plays Humayun. He appeared at the Bush in the Pulitzer Prize winning and Tony Award nominated Disgraced which transferred to the Lyceum Theatre on Broadway. He starred in Zaida and Aadam at the Bush as part of This Place We Know in 2016. He recently played a leading part in The Djinns of Eidgah at the Royal Court. Theatre credits include Henry IV Parts 1 and 2 at the Theatre Royal Bath, and Blood and Gifts at the National Theatre. TV credits include the International Emmy winning BBC Drama Capital. Also: Silk, Holby City, Doctors, Chasing Shadows and Coronation Street. Danny has just recorded a second series of Tumanbay for BBC Radio 4. Guards at the Taj is a Bush Theatre production that runs 7 Apr – 20 May 2017 in the Theatre. It’s directed by Jamie Lloyd and written by Rajiv Joseph.